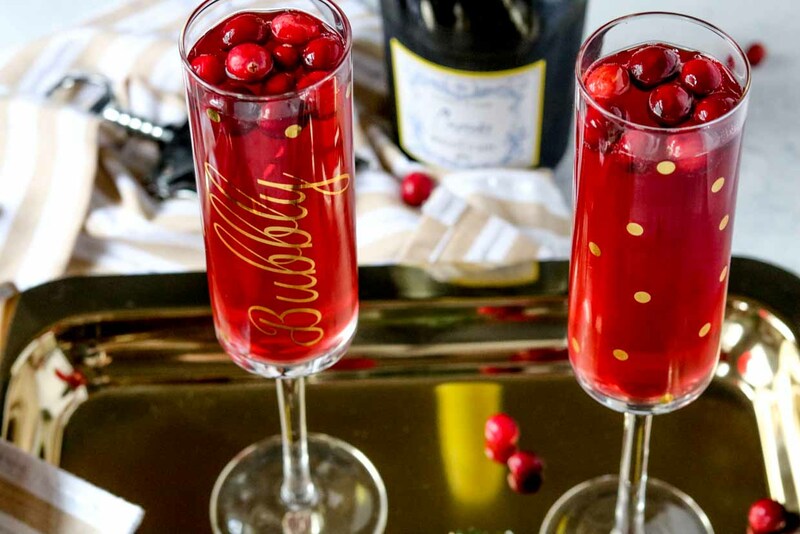 The holidays are winding down but here’s one last holiday drink to enjoy. 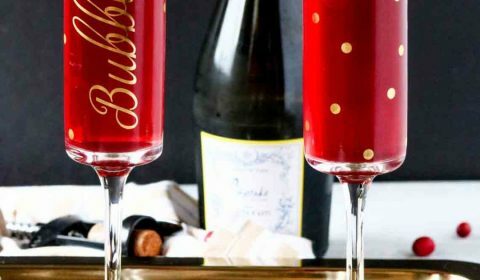 Add these cranberry mimosas to your NYE party plans or maybe enjoy it at brunch on New Year’s Day. However you choose to enjoy it, you won’t be disappointed. I love a good mimosa, except the problem for me is with the traditional orange juice mimosas. Orange juice tends to upset my stomach so as much as I love mimosas I had gotten to the point where I avoided them until I found this alternative. 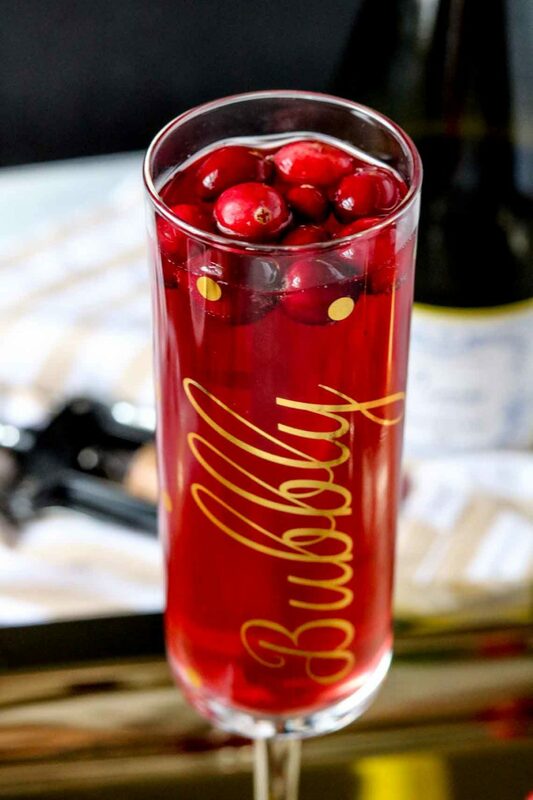 The fresh, unsweetened cranberry juice perfectly balances out the sweetness of the Moscato d’Asti. Add in the fresh cranberries because, well let’s be honest, they make this drink gorgeous. They’re like the finishing touches of jewelry for the perfect night on the town. This recipe is written per single serving but feel free to create a full pitcher batch for your party. 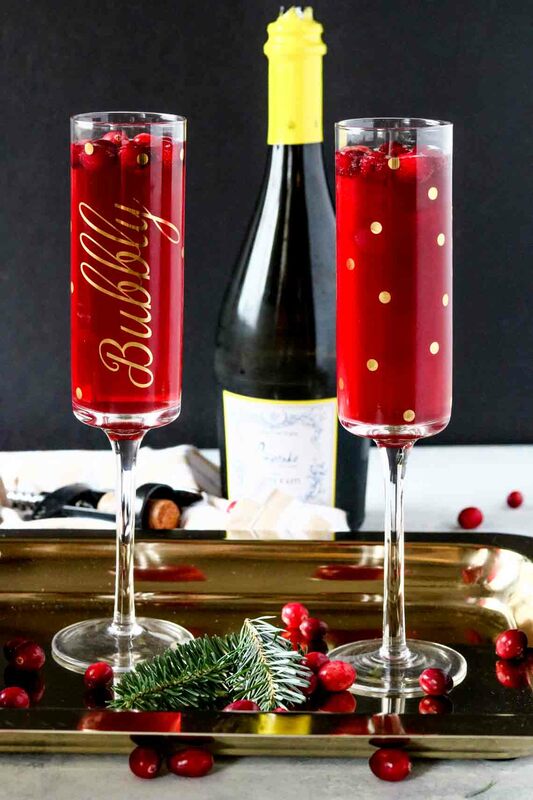 Add cranberry juice to champagne flute.